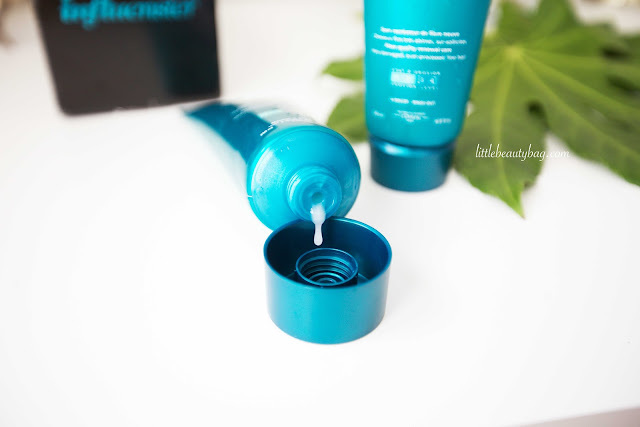 Today I’m going to share with you my thoughts about the new Kerastase Resistance Therapiste! My story begins with my oily hair & with all the products I’ve tested. Having oily hair I’ve always had a struggle. I had to wash my hair almost daily because of the greasiness no matter what I use. I’ve tried Garnier, Head & Sholders, Schauma, Nivea, Herbal Essences, Petrole Hahn, Syoss, Clear, Gliss, Dove, Alverde, Balea, Johnsons Baby – you name it! Because of this problem I start using dry shampoo – also you name it, I’ve try it! A miracle happened! I had the chance to receive a Influenster VoxBox with 2 hair products from Kerastase. 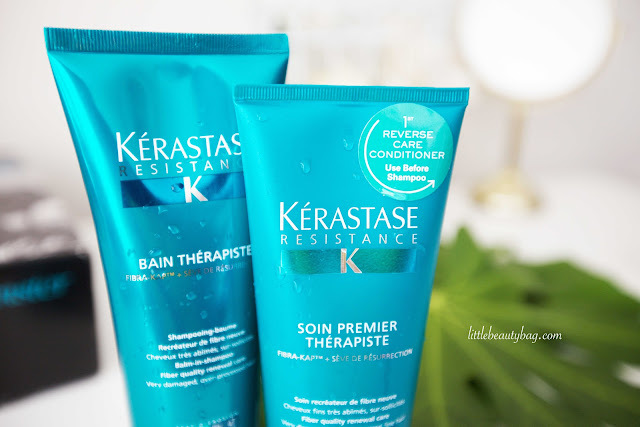 Kerastase Resistance Therapiste! I never thought I would love this products, believe me, I gave up! First thing first: I never heard of a Reverse Care Conditioner! What this means? Well, you first use the conditioner and then the shampoo. How crazy is that? Shut the front door! This is waay to crazy for me, maybe for you is not but for me is definitely something crazy & unique! So I said: let’s do this, let’s give them a try! I now, can confim, after using them ( cuz they’re done, this 2 babies are empty LOL ) that this 2 products are the most amazing products in the whole wide world! I simply can’t get enough of them and I ordered 2 more!!!!!!!!!! So if you have oily hair and you want a miracle, then try this 2 babies cuz this are the daang! I can’t thank enough Influenster and Kerastase for giving me this awesome chance! 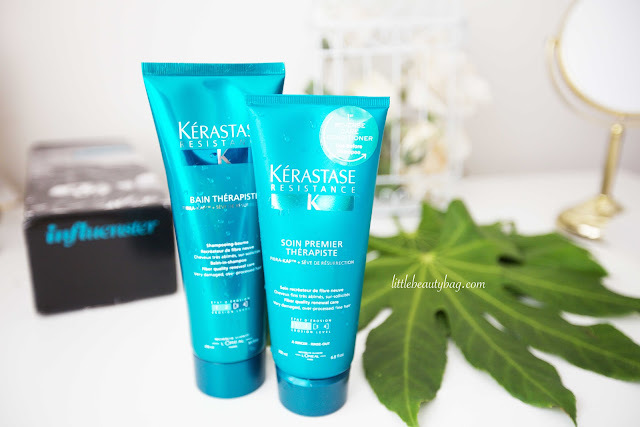 This 2 Kerastase Resistance Therapiste retails for: $20 – $42. It may be a little bit expensive but they worth every single penny! I really hope you enjoyed this post! If you did, please let me know in a comment below! 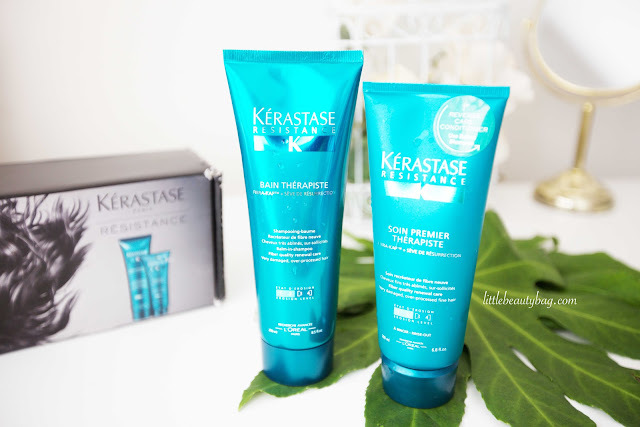 Are you considering trying the new Kerastase Resistance Therapiste?